This slide contains video without audio. The description of the video is "people in a crowd walking"
Social Credit- Why should it matter? This year’s fair is focused on Social Credit, inspired by China’s ‘Once Untrustworthy, Always Restricted’ Social Credit System. Help us spread awareness about Cybersecurity by participating in our live demonstrations by MISSA, FAST, SWIFT, Chaffey, Fullerton, and Charter Oak. Learn how to pick a lock at Datagram's lockpicking demo. Live demonstrations will be going on throughout the whole event. This year’s fair is focused on Social Credit, inspired by China’s ‘Once Untrustworthy, Always Restricted’ Social Credit System. We will highlight this concept along with traditional security issues like social engineering, phishing, and wireless hacking during our fair. Free shirts & swag will be given to attendees while supplies last. Post a picture at our photo booth with the #CPPCYBERFAIR and tag us @cppcyberfair for a chance to win one of the 3 bronco gift cards. Attendees who submit their completed security survey will be entered into our prize drawing at 1:45 pm. We will be giving away an Amazon echo, books, and 2 $20 bronco gift cards. Register today for the 2018 Cyber Security and Awareness Fair! 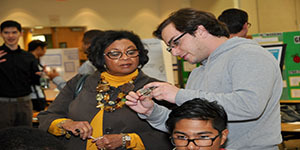 Interested in Volunteering for the Cyber Security and Awareness Fair? We are introducing the Cyber Security Workforce Job Fair as part of this year’s event as an innovative approach to hiring cybersecurity talent. The student volunteers working at the event are the best of our future cybersecurity professionals from our academic and extracurricular programs. 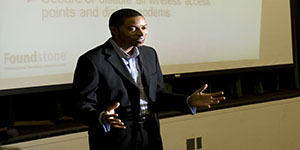 The fair provides a unique chance to see these young professionals showcasing their soft skills in leadership, teamwork, and communication alongside ethical hacking and cyber defense techniques to peers and home users. 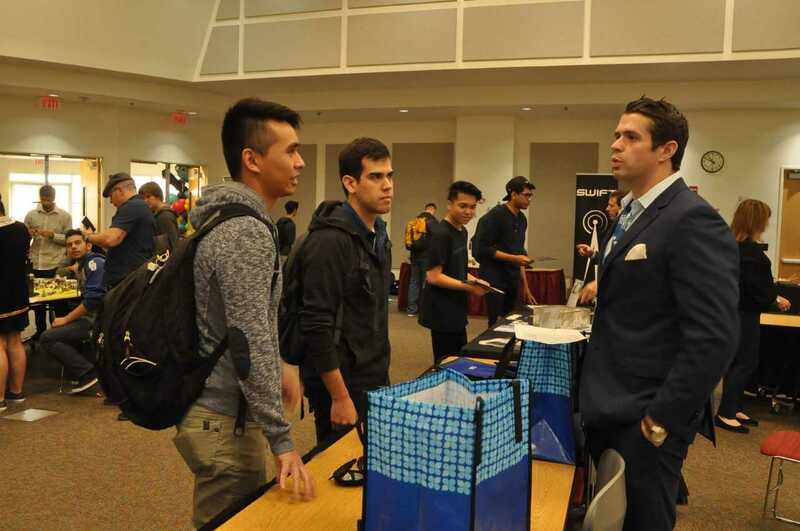 The Job Fair is a casual networking environment where companies will have time for discussion and interview opportunities with the students after the event. This networking event will be held from 3:00 P.M. to 5:00 P.M. In addition, we are creating a new Educational Award titled “Fund hacking ‘Kn0wledge’” as part of our donor program. This award is an opportunity for one or more students to build their resume(s) through security research in support of the program. This research would lead to more in-depth presentations and hands-on demonstrations given the time constraints on students.